The pioneer in Managed Print Services (MPS) for the health care industry, will be exhibiting at the 2012 Annual HIMSS Conference & Exhibition at the Venetian Sands Expo Center in Las Vegas, NV. CynergisTek’s President and CEO, Joseph J. Flynn, will deliver a ‘must-attend’ seminar for health care executives to educate and demonstrate how some of the nation’s most prestigious hospitals are accelerating EHR readiness by implementing an MPS strategy that enables CIOs and their IT staff to meet the challenge of ensuring interoperability between device and technology, while securing patient data through proven process efficiency techniques that result in validated end-user satisfaction. The seminar entitled ‘Think Print Before You Execute EHR‘ will be held on February 22nd from 3:45 p.m. to 4:30 p.m. as part of the HIMSS Knowledge Center ‘Clinical and Business Analytics / Intelligence’. Attendees will learn the key elements of an MPS program critical to delivering a sustainable and maximized return on investment. In addition, the presentation will evaluate real-time data and hospitals’ results with EHR implementations through MPS, and learn how expense reduction and improvements in process efficiency in the print environment can lead to end-user satisfaction. Mr. Flynn and members of the CynergisTek team will also be available for one-on-one sessions in the Knowledge Center, booth #13247 throughout the conference. CynergisTek will also host a reception for HIMSS attendees in the WYNN Salon Suite on Wednesday, February 22nd, from 6:00 p.m. PT to 9:00 p.m. PT. Guests will enjoy a sampling of the prestigious and world-renowned wine, OPUS One, 2008 vintage, hors d’oeuvres and an opportunity to network in a relaxing environment. To reserve your attendance, email ceckert@auxilioinc.com or call 949-514-0709 by February 20th. 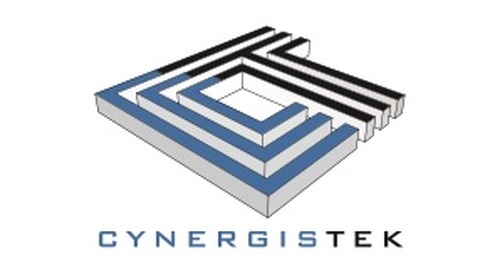 CynergisTek is the only MPS company in the U.S. that works exclusively in hospitals and health care systems and which provides full-time, on-site Resident Teams that work as customer service and technical representatives to support IT departments and CIOs as strategic partners to reduce the burden of the workload on their staff. The company is at the forefront of providing hospitals with specialized knowledge and expertise as they tackle the transformative shift to e-records compliance to meet the ‘meaningful use’ federal mandates with its customized solutions that align the workflow of multitude print devices and software ensuring maximum connectivity and end-to-end interoperability and ultimately advances the goal of sharing secure medical records between all care providers and the patient. The demand for hospitals to reduce costs through increased operational efficiencies and to comply with EHR mandates is precisely aligned with CynergisTek’s MPS offering. Recognized as one of the premier conferences in the healthcare industry, HIMSS12 will be held from February 20th through 24th at the Venetian Sands Expo Center in Las Vegas. For more information, visit CYNERGISTEK at Knowledge Center, booth #13247 or visit https://cynergistek.com.